I hope you all had a happy Thanksgiving. I spent a lot of time with my family and loved it so much. There are a lot of events happening this month to celebrate Christmas. 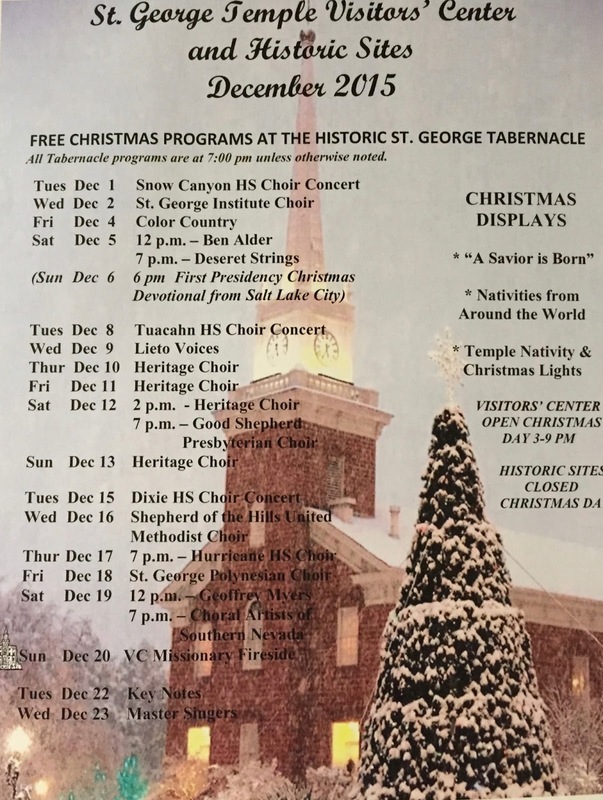 St. George Tabernacle has free Christmas concerts all month! Below is the schedule (they are also in the upcoming events tab).